Continuing on with our "use what you have in your pantry" challenge, I was able to make this tasty pasta dish out everything we had on hand. Matt doesn't even like mushrooms and he could not get enough of this. He even ate the leftovers for two days after until it was all gone. The pasta and sauce are the real stars of this dish. I could have even done without the meatballs (even though they were delicious) if it wasn't for my carnivore of a husband. Homemade pasta is a labor of love but is so worth the effort. The sauce is so earthy and rustic. There are so many layers of flavor that go into it. The best part is that you only need to use 1/2 cup of wine for the sauce... so pour yourself a glass, relax and have fun making this yummy dish! First things first... make the pasta. I cannot stress enough how you need to keep it floured at all times. You don't want it to stick. I added some freshly chopped chives from our garden. Roll it all up and cut it into one inch strips. Immediately unroll it and place it on some floured wax paper. I had to cut my long pasta sheet in half so the noodles were not super long. Layer the pasta on a cookie sheet with floured sheets of wax paper in between each layer. Once finished, place in the refrigerator until you are ready to boil the noodles. 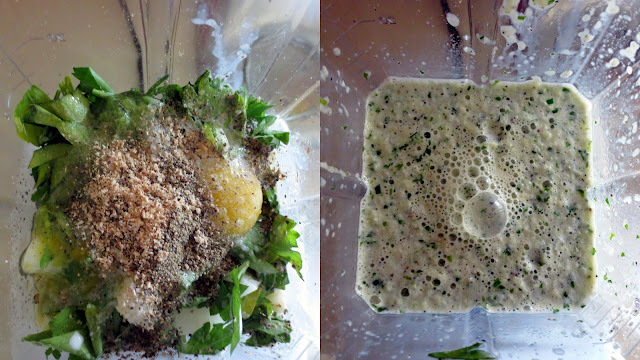 By placing the meatball ingredients in the blender, it creates a TON of flavor throughout the entire meatball. Mix the blended ingredients and breadcrumbs in with the meat. I used panko. Do not over mix the meat or it will be tough. This is a job in which the best tools are the ten fingers God gave you... so take off those rings and start mixing! As always, I like to cook two little pieces before forming the meatballs so I can taste the seasoning. One for me and one for Matt. Form the meatballs and start browning them. Finish them off in the oven. Cook the onions, mushrooms and garlic over medium heat until they are brown and caramelized. Add the flour and cook four a few minutes. Add wine and whisk to incorporate the floured vegetables. It will be very thick... almost paste like. Now do the same thing with the beef broth. Keep whisking and cooking over medium heat until the sauce has slightly thickened. 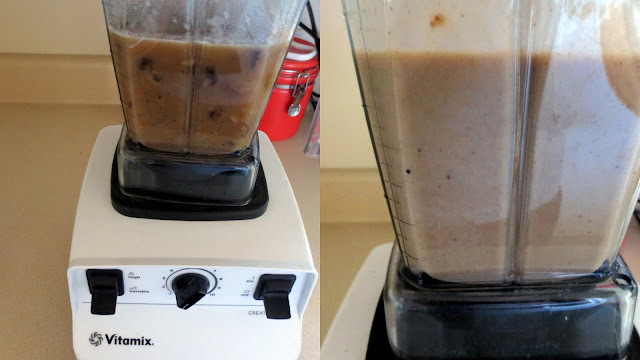 Pour the mixture in a blender and blend until smooth, about 2 minutes. Remember to remove the top plug of the blender and place a hand towel over the opening. Hot liquids create steam and expand. You don't want the top blowing off and sauce flying all over your pretty kitchen. 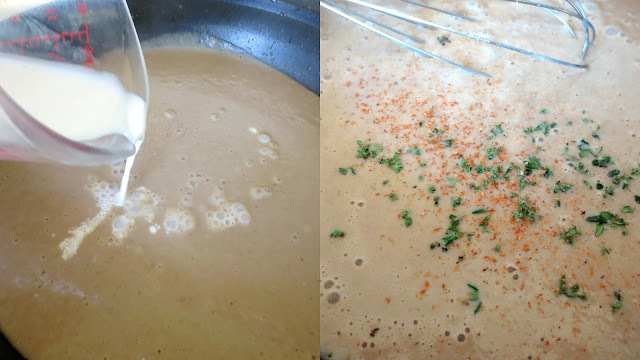 Return sauce to pan and add the half & half, thyme and nutmeg. Whisk and then keep on low heat to keep warm. This is when you should throw the pasta into some boiling water and then add meatballs and pasta to the sauce. This is my go-to pasta recipe. 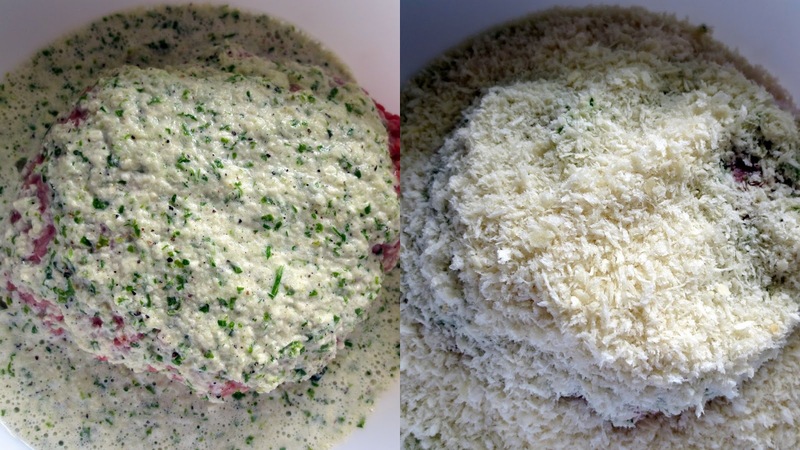 Place the flour, chives and salt in the mixer and form a well. Add eggs and yolk then turn on mixer with dough hook attachment. With a rubber spatula, gradually bring down flour on the sides to the middle. Keep mixing until all of the flour is incorporated. 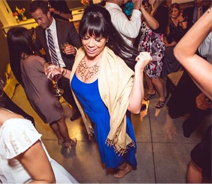 You may need to add a tablespoon of water and/or turn off mixer and knead in the bowl with your hands. Once ball is formed, run mixer on medium high for 12 minutes to knead. Remove dough from mixer and knead on a floured surface for 5 minutes. Form into ball, cover with plastic wrap and refrigerate for at least 30 minutes. Cut the ball into four equal sections. Feed through pasta roller until you get to the second last setting. On my Kitchen Aid attachment, it is 7 on the dial. Make sure you keep flouring both sides of the pasta when it is rolled out. Sticky pasta can ruin the dish. 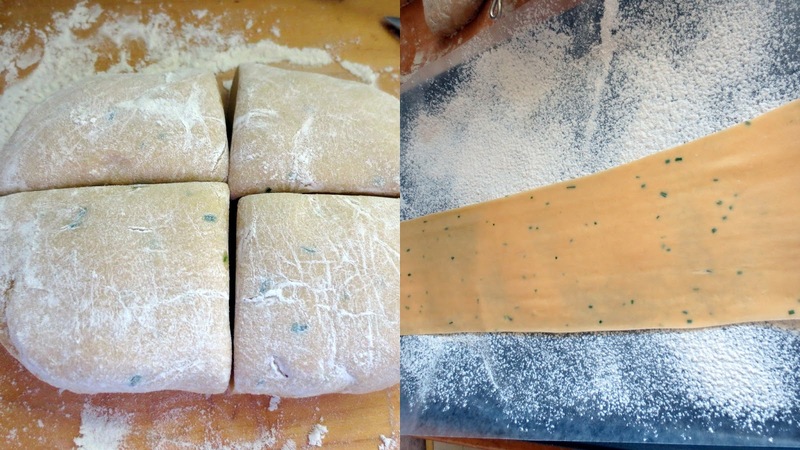 Roll the pasta up and slice into 1 inch wide pieces. 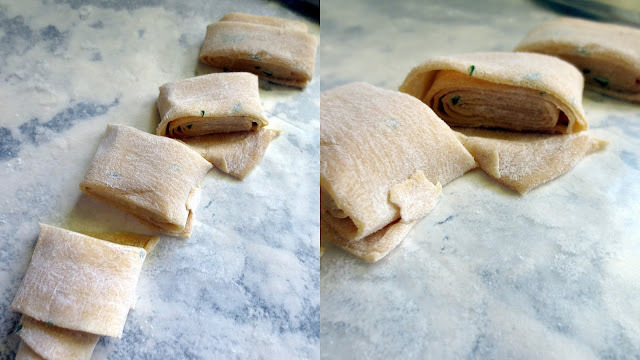 Unroll the pasta and place each piece on a floured cookie sheet. Layer with wax paper. Let the pasta sit in the refrigerator until ready to cook. Bring meat to room temperature and place in a large mixing bowl. Place onion, parsley, garlic, milk or half & half, salt, pepper and nutmeg in a blender or food processor Pulse until fully combined but coarse chunks remain. 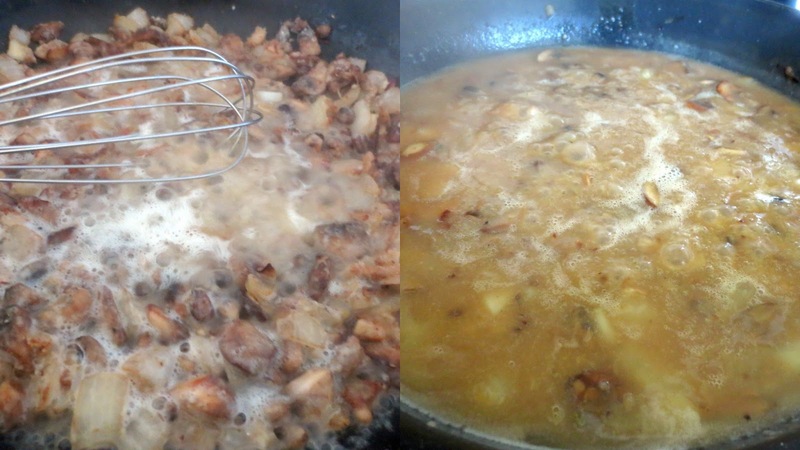 Add onion mixture and breadcrumbs to meat and mix with hands until combined. Preheat large skillet over medium heat and drizzle in olive oil. 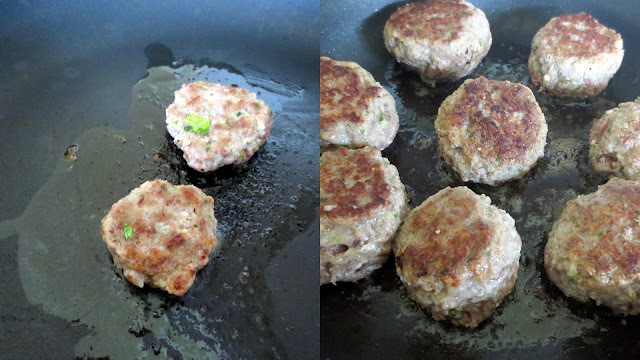 Form meatballs and place in preheated pan. Brown on top and bottom and them place pan in oven. Cook for about 10-15 minutes and remove from oven and cool. For more flavor, use the pan in which you cooked the meatballs with most of the grease drained. Place pan over medium heat and melt butter. 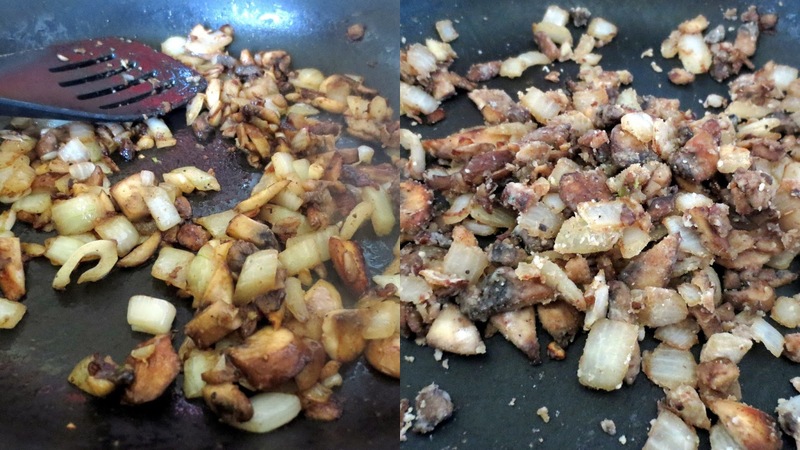 Add garlic, onion and mushrooms to pan and saute for 5-7 minutes until onions are caramelized and mushrooms are softened. Add flour and coat all of the vegetables. Cook for 2-3 minutes. Add wine and deglaze pan with wooden spoon. Cook until the wine reduces by half. Add beef stock and simmer for 2 minutes. Pour into a blender and blend until completely smooth. Pour back into pan and add half & half, thyme and nutmeg. While cooking the sauce, bring a large pot of water to a boil. Add a hefty pinch of salt and a drizzle of olive oil. Once sauce is finished, keep warm with the heat on low and add meatballs. Once water is boiling, add pasta and cook for 2-3 minutes. Remove pasta from pot and add straight to the sauce and meatballs Toss to coat and serve in a large bowl with a fresh parsley garnish.